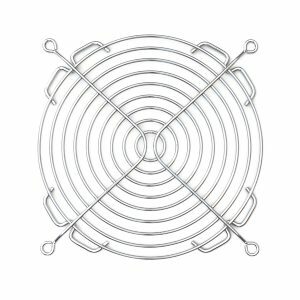 Wire fan guards for 130mm case fans permit maximum airflow while reducing noise and waste heat. GardTec, Inc. manufactures wire form fan guards designed for computer cases and commercial electronics. These wire fan guards block an imperceptible amount of air, unlike mesh and perforated metal fan guards known to reduce airflow by up to half. GardTec fan guards enable the coolest, quietest fans on your sensitive electronics.